This site, developed and maintained by Roger W. Smith, is devoted to the life and writings of Theodore Dreiser. 72 years later; The Bulwark is republished! Harold J. Dies (1914-2012) was Trustee of the Dreiser Trust. This entry was posted in Dreiser's family and relatives, miscellaneous and tagged シオドア・ドライサー, シオドア・ドライザー, シオドー・ドライサー, シオドー・ドライザー, セオドア・ドライサー, セオドア・ドライザー, Emma Dreiser, Emma Dreiser Nelson, Emma Wilhelmina Dreiiser, George K. Nelson, George Kates Nelson, Gertrude A. Hopkins, Gertrude Amelia Hopkins, Gertrude Dorn, Gertrude Hopkins, Gertrude Hopkins Dorn, Gertrude Nelson, Harold Dies, Harold J. Dies, Harold James Dies, теодор драйзер, Roger Smith, Roger W. Smith, Theodore Dreiser on July 16, 2017 by Roger W. Smith. 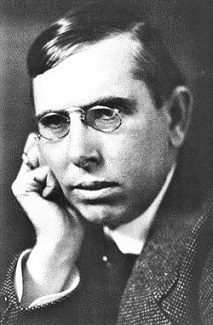 Posted here (see below) are photos and portraits of Theodore Dreiser as well as numerous photos of Dreiser’s relatives and acquaintances. Please note: if you left click on a photo of interest, a descriptive caption for that photo will appear. If you right click on the photo, you will have the option of downloading (saving) it. This entry was posted in photographs and tagged シオドア・ドライサー, シオドア・ドライザー, シオドー・ドライサー, シオドー・ドライザー, セオドア・ドライサー, セオドア・ドライザー, Claire Dreiser, Claire Dreiser Gormley, Claire Gormley, Clara Clothilde Dreiser, Emma Dreiser, Emma Wilhelmina Dreiser, Esther A. Schnepp, Esther Schnepp Dickerson, Gertrude Hopkins, Harold J. Dies, Harold James Dies, Helen Patges, Helen Patges Dreiser, Helen Richardson, Kyra Markham, Mai Skelly Dreiser, Markus Romanus Dreiser, Mary Theresa Dreiser, теодор драйзер, Paul Dresser, Sarah O. White, Sarah Osborne White, Theodore Dreiser, Theresa Dreiser, Vera Dreiser on May 5, 2017 by Roger W. Smith. Posted here below as a downloadable PDF document are excerpts from the autobiography of Harold James Dies (1914-2012). Mr. Dies was related, on his mother’s side, to Theodore Dreiser’s second wife, Helen (Patges) (Richardson) Dreiser. He was Trustee of the Dreiser Trust. The full title of the autobiography is “The Kingdom of God and the World’s Final Generation: The Life Story of Harold James Dies” (2010). I wish to thank Joann Crouch, Mr. Dies’s niece, who told me about this unique book and made it available to me for photocopying. This entry was posted in biographical (including posts with fragmentary but potentially useful biographical information about Dreiser, his family, or associates), Dreiser's family and relatives and tagged シオドア・ドライサー, シオドア・ドライザー, シオドー・ドライサー, シオドー・ドライザー, セオドア・ドライサー, セオドア・ドライザー, Gertrude Amelia Hopkins, Gertrude Hopkins, Harold J. Dies, Harold James Dies, Helen Dreiser, Helen Esther Patges, Helen Patges Dreiser, Helen Richardson, теодор драйзер, Theodore Dreiser on February 18, 2017 by Roger W. Smith. Esther A. (Schnepp, or Schanab) Dickerson (1840-1916) was Theodore Dreiser’s aunt. She was the younger sister of Dreiser’s mother, Sarah (Schnepp, or Schanab) Dreiser. Samuel T. Dickerson was Esther’s second husband. Esther Dickerson was also the maternal grandmother of Theodore Dreiser’s second wife, Helen (Patges) Dreiser. Esther’s daughter by her first marriage, Ida V. Parks, married George Patges. Their daughter Helen E. Patges married, secondly, Theodore Dreiser as his second wife. The obituary notes that Mrs. Dickerson died at the residence of her daughter (by her second husband) Mrs. Carl M. Dies. The daughter, Myrtle Josie (Dickerson) Dies, was the mother of Harold James Dies (1914-2012), a relative of Theodore Dreiser’s second wife Helen (Patges) Dreiser. Harold Dies became Trustee of the Dreiser Trust. This entry was posted in genealogy, obituaries and tagged シオドア・ドライサー, シオドア・ドライザー, シオドー・ドライサー, シオドー・ドライザー, セオドア・ドライサー, セオドア・ドライザー, Esther A. Dickerson, Esther Dickerson, Esther Schanab, Esther Schnepp, Harold J. Dies, Harold James Dies, теодор драйзер, Theodore Dreiser on March 7, 2016 by Roger W. Smith. Gertrude Amelia Hopkins (1894-1973) was Theodore Dreiser’s niece. Below is an image of her death certificate. This entry was posted in Dreiser's family and relatives, genealogy and tagged シオドア・ドライサー, シオドア・ドライザー, シオドー・ドライサー, シオドー・ドライザー, セオドア・ドライサー, セオドア・ドライザー, Gertrude A. Hopkins, Gertrude Amelia Hopkins, Gertrude Dorn, Gertrude Hopkins, Gertrude Hopkins Dorn, Harold J. Dies, Harold James Dies, теодор драйзер, Roger Smith, Roger W. Smith, Theodore Dreiser on March 2, 2016 by Roger W. Smith.